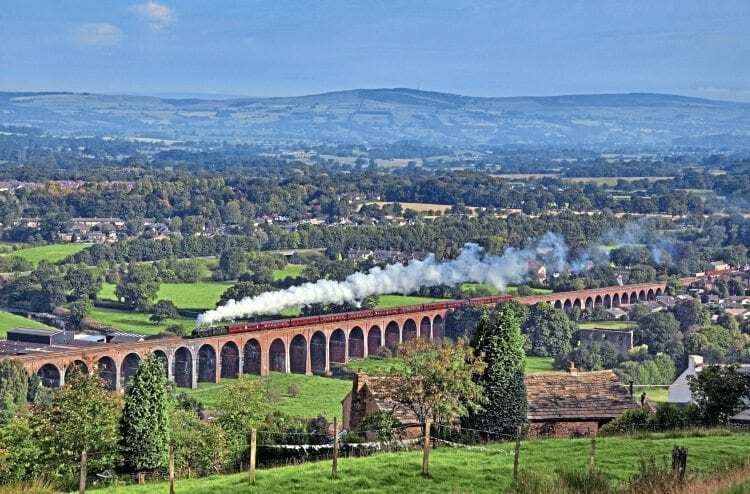 THE majestic 49-arch Whalley viaduct that carries the Blackburn to Clitheroe line over the River Calder floodplain to the south of Whalley station will benefit from a £1.6million investment by Network Rail. Strengthening of the 1850-built North West Junction Railway structure started during the first week of October and is expected to last until the end of March next year. NR engineers will be working around the clock to carry out the upgrade work, without any disruption to passenger or freight services. The viaduct, commonly known as Whalley Arches, will be strengthened by fitting 2,800 steel brackets and 16,800 anchors to the sides of the structure in order to improve its long-term stability.